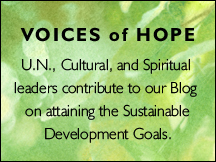 The NGO Committee on Spirituality, Values and Global Concerns – NY (CSVGC-NY) maintains this website (the “Site”) as a courtesy to those who may choose to access the Site (“Users”). The information presented herein is for informative purposes only. CSVGC-NY grants permission to Users to visit the Site and to download and copy the information, documents and materials (collectively, “Materials”) from the Site for the User’s personal, non-commercial use, without any right to resell or redistribute them or to compile or create derivative works therefrom, subject to the terms and conditions outlined below, and also subject to more specific restrictions that may apply to specific Material within this Site. CSVGC-NY administers this Site. All Material on this Site from CSVGC-NY appears subject to the present Terms and Conditions. Unless expressly stated otherwise, the findings, interpretations and conclusions expressed in the Materials on this Site are those of the various CSVGC-NY staff members, consultants and advisers to CSVGC-NY who prepared the work and do not necessarily represent the views of CSVGC-NY, the United Nations, or its Member States. Materials provided on this Site are provided “as is,” without warranty of any kind, either express or implied, including, without limitation, warranties of merchantability, fitness for a particular purpose and non-infringement. The CSVGC-NY specifically does not make any warranties or representations as to the accuracy or completeness of any such Materials. 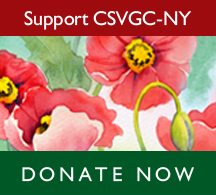 CSVGC-NY periodically adds, changes, improves or updates the Materials on this Site without notice. Under no circumstances shall CSVGC-NY be liable for any loss, damage, liability or expense incurred or suffered that is claimed to have resulted from the use of this Site, including, without limitation, any fault, error, omission, interruption or delay with respect thereto. The use of this Site is at the User’s sole risk. Under no circumstances, including but not limited to negligence, shall CSVGC-NY or its affiliates be liable for any direct, indirect, incidental, special or consequential damages, even if CSVGC-NY has been advised of the possibility of such damages. The User specifically acknowledges and agrees that CSVGC-NY is not liable for any conduct of any User. This Site may contain advice, opinions and statements of various information providers. CSVGC-NY does not represent or endorse the accuracy or reliability of any advice, opinion, statement or other information provided by any information provider, any User of this Site or any other person or entity. Reliance upon any such advice, opinion, statement, or other information shall also be at the User’s own risk. Neither CSVGC-NY nor its affiliates, nor any of their respective agents, employees, information providers or content providers, shall be liable to any User or anyone else for any inaccuracy, error, omission, interruption, deletion, defect, alteration of or use of any content herein, or for its timeliness or completeness, nor shall they be liable for any failure of performance, computer virus or communication line failure, regardless of cause, or for any damages resulting therefrom. As a condition of use of this Site, the User agrees to indemnify CSVGC-NY and its affiliates from and against any and all actions, claims, losses, damages, liabilities and expenses (including reasonable attorneys’ fees) arising out of the User’s use of this Site, including, without limitation, any claims alleging facts that if true would constitute a breach by the User of these Terms and Conditions. If the User is dissatisfied with any Material on this Site or with any of its Terms and Conditions of Use, the User’s sole and exclusive remedy is to discontinue using the Site. This Site may contain links and references to third-party web sites. The linked sites are not under the control of CSVGC-NY, and CSVGC-NY is not responsible for the content of any linked site or any link contained in a linked site. CSVGC-NY provides these links only as a convenience, and the inclusion of a link or reference does not imply the endorsement of the linked site by CSVGC-NY. The User acknowledges that all Forums and discussion groups are public and not private communications. Further, the User acknowledges that chats, postings, conferences, e-mails and other communications by other Users are not endorsed by CSVGC-NY, and that such communications shall not be considered to have been reviewed, screened or approved by CSVGC-NY. CSVGC-NY reserves the right to remove, for any reason and without notice, any content of the Forums received from Users, including, without limitation, e-mail and bulletin board postings. Nothing herein shall constitute or be considered to be a limitation upon or a waiver of the privileges and immunities of CSVGC-NY, which are specifically reserved. CSVGC-NY reserves its exclusive right in its sole discretion to alter, limit or discontinue the Site or any Materials in any respect. CSVGC-NY shall have no obligation to take the needs of any User into consideration in connection therewith. CSVGC-NY reserves the right to deny in its sole discretion any user access to this Site or any portion thereof without notice. No waiver by CSVGC-NY of any provision of these Terms and Conditions shall be binding except as set forth in writing and signed by its duly authorized representative.